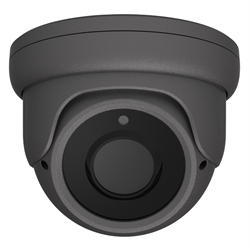 The MAX-D4IR2812G from Maxaar is a 4-in1 dome security camera that supports analog CVBS (older analog systems) as well as high definition over coax HDCVI, HDTVI and AHD systems. It comes in a gray IP66 rated casing which makes it a great choice for using outdoors. The 2.8-12mm varifocal lens captures images in full colour during the day and switches over to black and white night vision upon detecting low lighting. When recording in infrared night vision, the camera can detect an object up to 30 meters away in pitch black conditions using the 24 IR LEDs. The 3D digital noise reduction feature helps eliminate dust and scratches from the recorded footage, giving you a clean image on screen free of distortion. 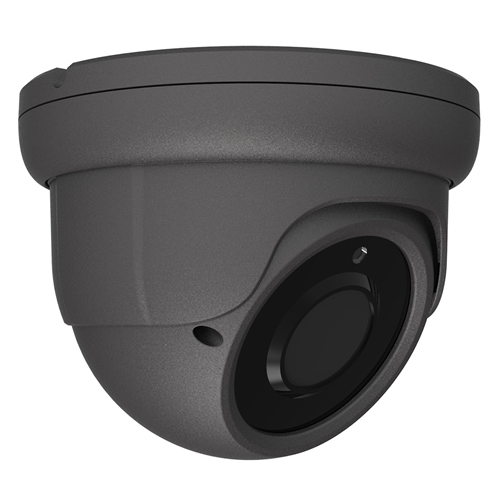 Its IP66 rated exterior means it can withstand rainy conditions, making it an excellent choice for outdoor use.